Don your St. Patrick's Day green in style this year. St. Patrick's Day tradition dictates that people who don't wear green on this holiday will be pinched. The tradition originated in part from the belief that leprechauns do not see green. Think of it as nature's green screen. Irish immigrants continued the tradition by wearing green clothing along with shamrocks and ribbons. 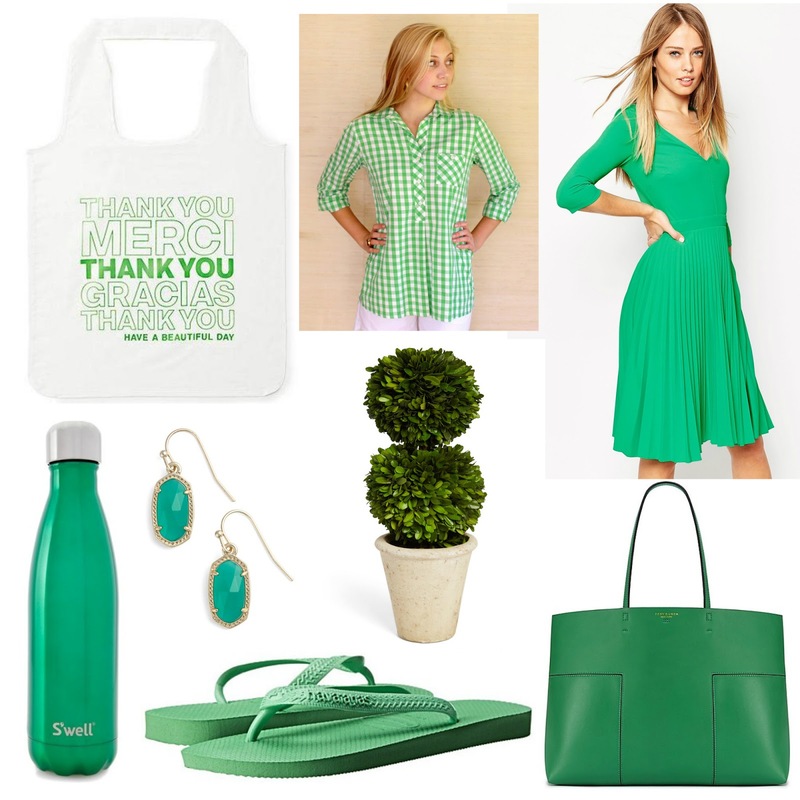 Bold is better on St. Patrick's Day, and the more green you're wearing, the better! Here's a little inspiration for March 17. The idea of hiding from leprechauns is folklore, and the tradition of pinching people on St. Patrick's Day for not wearing green is American, not Irish. St. Patrick's Day is a Roman Catholic holiday and blue was the color originally associated with the the Holiday. The idea of wearing green came about in protest to the Protestant British suppression of the Irish Rebellion 1798. Green represents the Irish Catholics, and Orange represents the Protestants. Over the years the green grew to be associated with the holiday, but the Irish don't wear the green as much on St. Patrick's Day as we do in the States. What an interesting story. Either way you look at it, I love any occasion to be festive and wear green.